The withdrawal leaves Mattis with a still-empty bench of Trump-appointed senior officials, a situation that stretches across the administration as Cabinet secretaries have not chosen, or the White House has not approved, nominees. Although Obama administration holdovers remain in a few jobs, after eight weeks in office, President Trump has not nominated a single high official under Cabinet rank in the Defense or State departments. Russia appears to have deployed special forces to an airbase in western Egypt near the border with Libya in recent days, according to US, Egyptian and diplomatic sources, in a move that adds to US concerns about Moscow’s deepening role in Libya. The US and diplomatic officials said any such Russian involvement might be part of an attempt to support the Libyan military commander Khalifa Haftar, who suffered a setback with an attack on 3 March by the Benghazi Defence Brigades (BDB) on oil ports controlled by his forces. The US officials, who spoke on condition of anonymity, said the US had observed what appeared to be Russian special operations forces and drones at Sidi Barrani, about 60 miles (100km) from the Egypt-Libya border. Egyptian security sources offered more detail, describing a 22-member Russian special forces unit, but declined to discuss its mission. They added that Russiaalso used another Egyptian base farther east in Marsa Matrouh in early February. The Obama administration blocked a $1 billion arms sale to Taiwan in December that was needed to improve the island’s defenses despite approval from the State Department and Pentagon, according to Trump administration officials. The action coincided with a controversial pre-inaugural phone call Dec. 2 between then-President-elect Trump and Taiwan’s President Tsai Ing-wen. “I continue to find it bizarre that in Turkey they’re talking about sanctions when you see that we have reasons to be very angry about what happened this weekend,” Rutte told RTL Late Night on Monday. Over the weekend the Dutch government denied a landing permit to Turkey’s foreign minister, who was due to deliver a speech — in support of April’s referendum to expand presidential powers in Turkey — to Turks living in the Netherlands. Later, another Turkish minister was prevented from not only giving a speech, but also entering the Turkish consulate in Rotterdam, where she was to address a crowd of Turkish President Recep Tayyip Erdogan’s supporters. The Russian Air Force trainees will fly Yak-152 propeller aircraft once the tests on the aircraft are complete, Deputy Defence Minister of the Russian Federation Yuri Borisov said during his visit to Irkutsk Aviation Plant – subsidiary of Irkut Corporation. Yuri Borisov viewed the production progress of Su-30SM multirole fighters and Yak-130 combat trainers, as well as manufacturing process of a new Yak-152 primary trainer aircraft. “Under the long-term contracts with Irkut Corporation the Ministry of Defence will receive 17 Su-30SM and 10 Yak-130 aircraft this year,” Yury Borisov said. Yuri attended the test flight of the new Yak-152 aircraft. “The impressions from the flight are most favourable,” said Yury Borisov. He also mentioned that after the tests are completed, the Defence Ministry will sign a contract on this primary training aircraft for cadet flight schools. “In general we are satisfied with the fulfilment of the state defense order and with the quality of the enterprise’s products,” noted Deputy Defence Minister, summing up the visit to the plant of Irkut Corporation. PARIS — The French center-right presidential candidate François Fillon was formally placed under investigation and charged with several counts of embezzlement on Tuesday, further hobbling a campaign that he has nonetheless vowed to continue. The charges, though expected, were announced a day earlier than anticipated, after the newspaper Le Canard Enchaîné leaked the development over Twitter. Mr. Fillon is facing several corruption allegations, mainly that his wife and two of his children were paid with taxpayer funds as parliamentary aides for work that was not genuine. Mr. Fillon, formerly the front-runner after winning primaries on the center-right in November, has seen his campaign upended since January, when Le Canard Enchaîné, a weekly newspaper that mixes satire and investigations, first reported on allegations that his wife drew a public salary for what amounted to a no-show job. In the days that followed the report, Mr. Fillon pledged to drop out of the race if he were to be placed under formal investigation and charged, but he later reversed that commitment, saying that only French voters could determine his fate. A Palestinian man has been arrested on suspicion of trying to cause an explosion in central Jerusalem by tampering with gas tanks and piping and then throwing a lit cigarette into the fumes. A gag order was lifted Monday after a preliminary indictment was served on the man — an East Jerusalem resident in his 30s — accusing him of willful damage to property, attempted arson and attempted destruction of property with explosive material. By Elizabeth Shim March 14 (UPI) — The senior North Korea diplomat who defected to the South from Pyongyang’s Embassy in London said Kim Jong Un‘s nuclear ambitions could bring about state collapse. Thae Yong-ho, who recently compared Kim to the Roman emperor Nero, said North Korea is headed down a dangerous path as it seeks recognition as a nuclear weapons state like “India or Pakistan,” Voice of America reported Tuesday. “The Kim Jong Un regime will never give up nuclear weapons,” Thae said. The high-profile defector added North Korea could “fall apart” if the regime decides to conduct a major nuclear test at its Punggye-ri nuclear site, where Pyongyang conducts tests of weapons of mass destruction. Recent satellite images show tunnel digging continues at the site, which lies below the 800-meter Mount Mantap. According to 38 North, the activity indicates North Korea may be prepared to conduct additional underground nuclear tests. As the USS Carl Vinson plowed through seas off South Korea on Tuesday, rival North Korea warned the United States of “merciless” attacks if the carrier infringes on its sovereignty or dignity during U.S.-South Korean drills. “While this is a routine deployment for the Carl Vinson strike group, really the centerpiece for us … is this exercise we’re doing with the ROK navy called ‘Foal Eagle’,” Rear Admiral James W. Kilby, commander of the Carrier Strike Group 1, told reporters, referring to South Korea as the Republic of Korea. North Korea said the arrival of the U.S. strike group in the seas off the east of the Korean peninsula was part of a “reckless scheme” to attack it. Toshiba Corp (6502.T) is ‘actively considering’ a sale and other strategic options for U.S. nuclear unit Westinghouse, the group said on Tuesday, as it expanded a probe into problems there that caused it to miss an earnings deadline for a second time. By Elizabeth Shim March 13 (UPI) — Russia said in a report submitted to the United Nations that it is faithfully implementing all sanctions against North Korea. According to TASS news agency, Russia’s delegation to the U.N. reported Moscow is fulfilling its obligations under U.N. Security Council Resolution 2321. The sanctions adopted in November 2016 target North Korea’s lucrative coal exports, a source of income for the Kim Jong Un regime. Coal sales are believed to have supported the development of Pyongyang’s nuclear weapons program. The sanctions also ban exports of copper, nickel, silver, zinc and even the sale of statues. The document is being developed in coordination with various government agencies. The financing of the deal – which was signed as an Engineering, Procurement, Construction and Finance (EPCF) contract — will be finalized within nine months by Korean banks, the Iranian oil ministry’s news service Shana said on Sunday. Construction will take 48 months, according to the Iranian news service. Russia has been keen to sell Iran military equipment and technology since the sanctions were lifted on the Islamic theocracy and the billions started flowing from the Obama administration. In fact, you could say that President Obama was the best thing that ever happened to the Russian armament industry. You could also say Hezbollah, the Iranian terror army in Lebanon and Syria, feels the same about Mr. Obama, as they were surely the recipient of all those pallets of billions in cash, but that’s another story. Subsequently, last year, Iran said it would “develop and build” its own tank and didn’t want to license the tank after all. Then, last Sunday, Iran publicly launched its own design which it says didn’t come at all from Russian technology. Unfortunately for this narrative, the “Karrar” looks just like a Russian T-90. So Iran said it wanted Russian designs to build the T-90. Then, Iran said it didn’t need the T-90 design. Then, Iran unveils a T-90 lookalike. Go figure. I guess since Iran is now also publically announcing that it ‘saved the Jews’ two times in ancient history, alternative facts are in vogue in Tehran. More than 65,000 fled their homes in the past two weeks as Iraqi fighters push into the city’s densely populated west. Iraqi forces battling ISIS/ISIL faced tough resistance from snipers and mortar rounds on Monday as they tried to advance on Mosul’s Old City and a bridge across the Tigris River in their campaign to retake it. Since starting the campaign in October to push the Islamic State of Iraq and the Levant (ISIL) out of its last stronghold in the country, Iraqi forces with US-led coalition support have recaptured eastern Mosul and about 40 percent of the city’s west. Federal police and rapid response brigades – an elite interior ministry unit – said over the weekend they had entered the Bab al-Tob area of the Old City, where fighting is expected to be toughest because of its narrow alleyways where armoured vehicles cannot pass. But advances in the area stalled on Monday. MOSCOW/ASTANA (Reuters) – Russian-led peace talks on Syria were derailed on Tuesday as rebels backed by Turkey boycotted a third round of meetings in Kazakhstan and the Kremlin indicated there were international divisions over the process. Russia, Syrian President Bashar al-Assad’s most powerful ally, said the rebels’ reasons for staying away were unconvincing and their decision came as a surprise. Describing the rebels as Turkish proxies, the Syrian government envoy said Ankara had broken “its commitments” to the Astana process. The rebels said on Tuesday they would not attend the talks, scheduled for Tuesday and Wednesday, because of what they called Russia’s unwillingness to end air strikes on rebel-held areas and its failure to get the Syrian army and Iranian-backed militia to abide by a ceasefire. NEW DELHI: In response to India’s growing air-defence capabilities, Pakistan has inducted a Chinese-made Low-to-Medium altitude Air Defence System (LOMADS) LY 80 on March 12. LOMADS LY-80 is capable of intercepting and destroying aerial targets flying at low and medium altitude. Pakistan’s move come close on the heels of India’s Defence Research and Development Organisation (DRDO) test-firing successfully an indigenous supersonic interceptor missile on March 1. The missile is capable of destroyin .. The ban of the Islamist DIK group in Hildesheim has prompted police raids on the city’s Islamists. Anis Amri, perpetrator of the deadly Berlin Christmas market attack, had been a member of Salafist circles there. Following a decision to ban the Islamist association known as the German-speaking Islamic Circle in Hildesheim e.V. 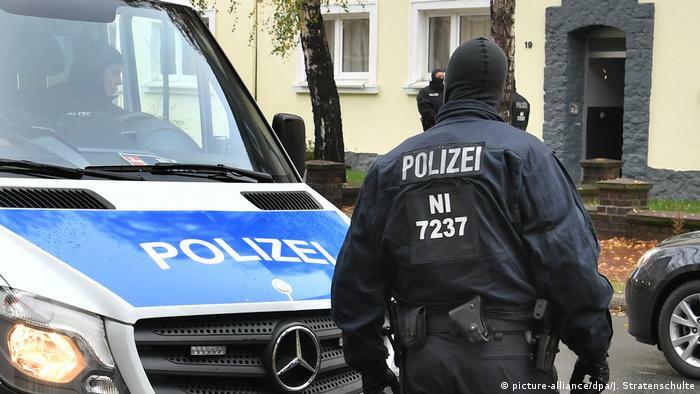 (DIK), police in the central German city carried out large-scale raids early on Tuesday morning, local media reported. In raids similar to those already carried out in July and November last year, several business premises, the dwellings of eight people linked to the group, as well the mosque belonging to the association were all searched on Tuesday. “This measure is expressly not directed against the many Muslims who live peacefully here,” Pistorius added. BRITISH forces will this week deploy to Estonia to ward off mounting Russian aggression, the Defence Secretary said yesterday. More than 540 troops will head to Eastern Europe to lead the new Enhanced Forward Presence. Soldiers from 5 Rifles will join Estonian, French, ­Danish and Spanish forces on a new frontline on the border with Russia — backed by tanks from the Queen’s Royal Hussars. Sir Michael Fallon told the Commons: “This is the year in which Nato is deploying its enhanced forward presence. I’m proud that Britain is leading that deployment in Estonia. The heated campaign for the April 16 Turkish referendum, which President Recep Tayyip Erdogan hopes will deliver him powers verging on the dictatorial, has created a diplomatic crisis between Turkey and some of its key North Atlantic Treaty Organization allies. Relations with the Netherlands are all but broken off, Germany is struggling to remain civil under a barrage of Erdogan insults, and Denmark is siding with its north European neighbors. Add to this Turkey’s differences with the U.S. and the perennial tension between Turkey and Greece, and it’s no longer clear how much of a NATO member Erdogan’s country really is. Despite its considerable military strength, Turkey’s participation in alliance activities isn’t extensive, and its interests don’t necessarily align with those of NATO. A lot of northern Europe’s resistance to pro-Erdogan campaign rallies on their soil has to do with domestic politics. Dutch Prime Minister Mark Rutte faces a strong nationalist, anti-immigration challenge in an election on Wednesday; keeping out Turkish ministers who want to agitate the diaspora in Dutch cities helps him score political points. German Chancellor Angela Merkel’s popularity suffered from her perceived softness on immigration; she could do without raucous Turkish rallies in Germany prior to her September vote. Merkel hasn’t acted as harshly as Rutte, but she’s let municipalities cancel the rallies on any pretext they can find. In Denmark, no major election is coming, but the government has asked Turkish Prime Minister Binali Yildirim to postpone a visit: It wouldn’t look good to welcome him after Erdogan likened the German and Dutch governments to Nazis. U.S. Air Force security forces, as well as other military personnel and federal law enforcement agencies, may soon be getting a new tool to take down small commercial drones: shotgun shells with a net. The special cartridge is just one system the Pentagon has been looking at to manage the growing threat from small and readily available quad-and hex-copter-type unmanned aircraft. On Jan. 31, 2017, the Air Force Life Cycle Management Center (AFLCMC) announced plans to buy and evaluate 600 12 gauge SkyNet Mi-5 shells from AMTEC Less Lethal Systems (ALS). If the Air Force was happy with the tests’ results, the service would have the option of buying another 6,400 rounds. According to a so-called ”justification and approval” document, the Pentagon’s Joint Rapid Acquisition Cell (JRAC) put the urgent request together in response to the potential danger the certain small flying machines posed “vital national security assets,” a phrase that commonly refers to nuclear weapons and their delivery systems. Government censors removed mention of the specific command that asked for the gear and its area of responsibility. The 4,100 tonne (when submerged) vessel, which has been named Sekiryu with pennant number 508, was handed over on 13 March in a ceremony held at KHI’s facilities in Kobe. According to Jane’s Fighting Ships, the Souryu class features a length of 84 m, a beam of 9.1 m, and a hull draught of 8.5 m. The platform, which is powered by two Kawasaki 12V 25/25 diesel engines, and four Kawasaki Kockums V4-275R Stirling air-independent propulsion (AIP) engines, has a top speed of 20 kt when submerged, and 12 kt when surfaced.